Colorado's craft brewery scene garners a lot of attention. It's well-deserved. In Denver alone, there are now more than 150 breweries. While the city may get a buzz for its beer, the craft cocktail movement is also going strong in this Mile High City. Double shot of espresso by day, double shot of your drink of choice by night! In the morning, this hip spot is bustling with coffee drinkers. But it's also a neighborhood bar that serves cocktails. They've got a solid drink menu, too, with palomas (a tequila and grapefruit drink that's popular in Mexico) as well as a hurricane that's blended with a housemade grenadine float. With the Moscow Mule making a mighty comeback, they've put a noveau twist on the drink. A traditional Moscow Mule is made with their house ginger beer, vodka, and lime; but you can switch it up and add strawberry, habanero, blackberry or peach as well as sub out the vodka for a gin, tequila or whiskey. Looking for a #TacoTuesday spot? Griddled tacos pair perfectly with creative margaritas at Comida, a Mexican restaurant inside The Source, which is a hip marketplace in the up-and-coming, arty River North (or RiNo) neighborhood. Don't let the construction signs deter you. The Source is still open for business as an adjacent hotel is being built. Here, you could order a classic margarita. But this food truck-turned-restaurant's real specialties are their spicy margs, like a pineapple-habanero one, which has a spicy kick tamed down by the sweet fruit. The restaurant lets you order tacos like you do sushi with numeral marks written in pencil—and you get can some great griddled ones for under $4. A must-visit for tourists and locals, this lounge on the 27th floor of The Hyatt Denver gives a panoramic view of the city. From the expansive windows, you can spot everything from the lights and the clocktower on 16th Street Mall to the rainbow of colors on the ferris wheels at Elitch Gardens amusement park. They also have a great cocktail menu that changes with the seasons. The first page of the menu is dedicated to Colorado cocktails. Imbibe with a Blackberry-Lemon Gin and Tonic, made with Woody Creek Colorado Gin. Or try the Stranahan's Old Fashioned made with Colorado whiskey, local honey, orange bitters and some spiked cherries that are made in-house. The Cooper Lounge is a little bit hidden, and that adds to its mystique. It's perched above the great room of Union Station, the city's bustling train station that has gone through a major renaissance. From the upstairs lounge, you also get some spectacular views of downtown through cast-iron windows. This lounge is open from 4 p.m. to midnight, and reservations are recommended. Among the cocktail menu highlights is a Rosette Punch for Two, which changes with the seasons. 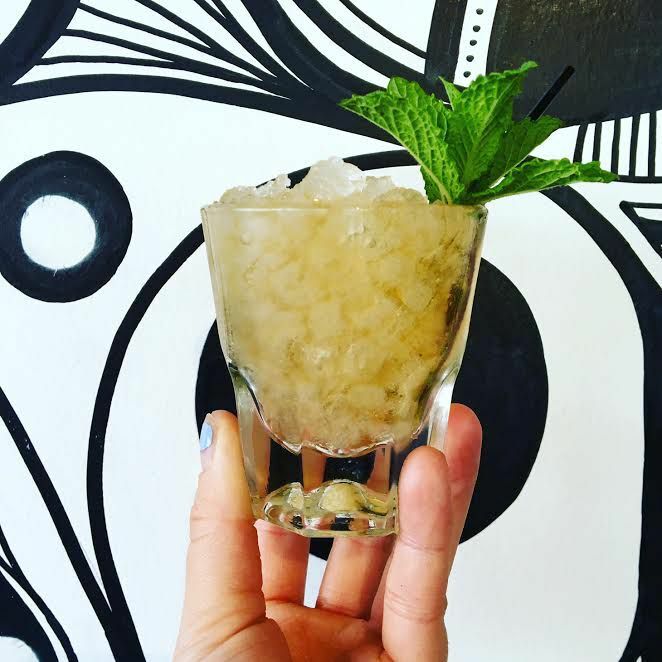 The Coloradier is a truly local drink, made with Breckenridge Bourbon, Breckendridge Bitters, a sweet vermouth finished with an orange twist. This downtown bar is outfitted with leather chairs, bookshelves filled with books and typewriters. In a word, it's handsome. It's also a great first date place: leather-bound journals on the table are full of conversation starters, prompting questions about your favorite movie genres to your funniest road trip stories. The bar menu is thoughtful, too. If you're feeling fancy, flip to the $12 champagne cocktail menu, with drinks like the Frisky Gin, which is made with Smalls Gin, fresh orange juice and champagne as well as Aperol— an Italian aperitif with herbs and roots.The bar also has a beer and wine list. Who Has the Best Sushi in Denver? Where Did Adam Richman Eat in Denver for "Man v. Food?" Who Has the Best Pizza in Denver?